Simon Coupland believes that a good sermon can bring the Bible to life, speak a powerful message to people's hearts and lives, and draw them to Christ. But many preachers, and their congregations, are aware that something is lacking. 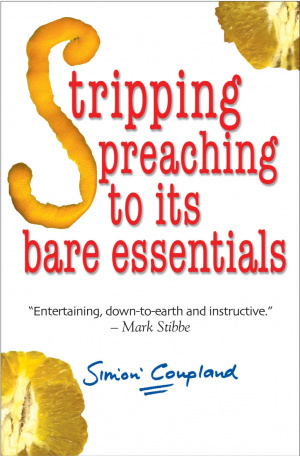 Stripping Preaching to its Bare Essentials by Simon Coupland was published by Lion Hudson in April 2005 and is our 9529th best seller. The ISBN for Stripping Preaching to its Bare Essentials is 9781854247124. Be the first to review Stripping Preaching to its Bare Essentials! Got a question? No problem! Just click here to ask us about Stripping Preaching to its Bare Essentials.